The SSAT is used for admission to many independent elementary, middle and high schools. Test results are often reviewed by school admissions at the end of the year proceeding school enrollment. Students are tested on performance of verbal skills, math, reading comprehension and essay writing. 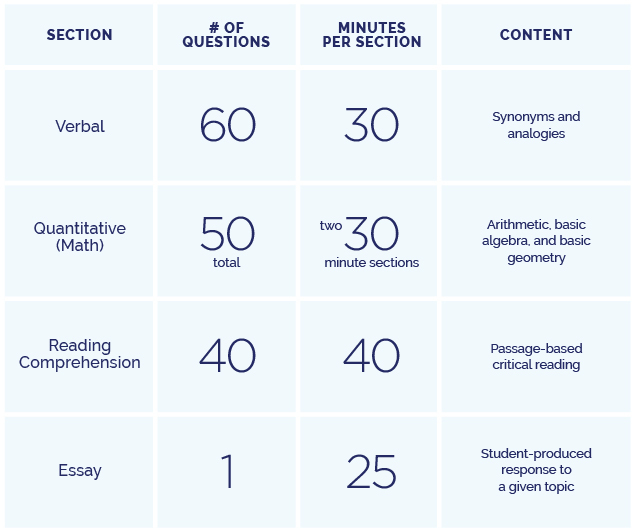 The SSAT format for all students is the same, but the content is divided into two grade specific iterations; the lower test for grades 5-7 and the upper test for grades 8-11. The SSAT is normally administered in October, November, December, January, February, March, April, and June. We recommend students take an initial practice test, as it assesses achievement and helps formulate an appropriate timeline for preparation. Typically, we recommend students begin SSAT preparation at least six months before their scheduled test date.